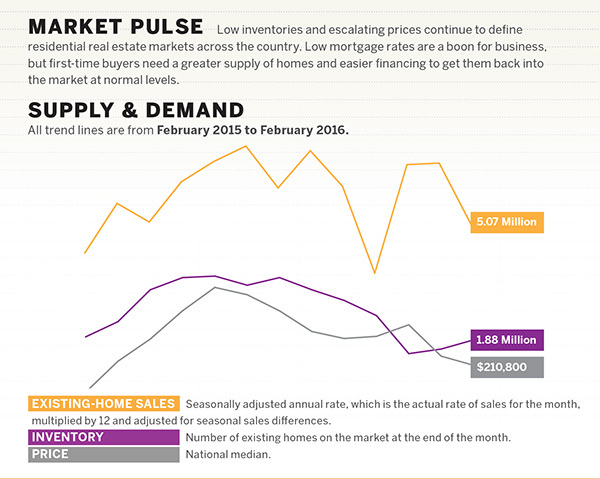 Low inventories and escalating prices continue to characterize residential real estate markets across the country. While current mortgage rates remain low and are a boon for business, first-time buyers require a greater inventory of homes and easier financing to lure them back into the market at normal levels. The median number of days a home sits on the market before being sold has changed dramatically. From 98 days to 48 days in four and a half years! 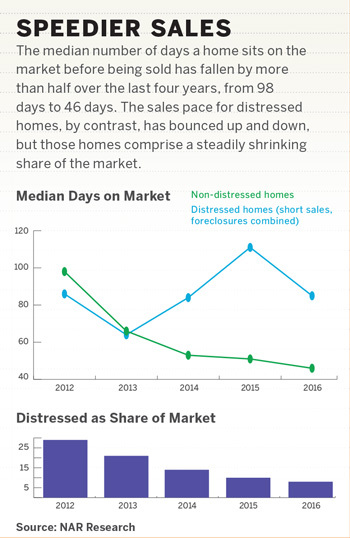 In opposition, the sales pace for distressed homes is bouncing up and down. A major topic going around Houston recently are the severe rain and thunderstorms that have been occurring since April. With some parts of Houston receiving 15 + inches of rain in one hour many businesses were forced to close and houses were flooded resulting with the question of "What do I do now"? Houstonians are left with choosing between moving or repairing their homes, both pricey stipulations. The City of Houston has notified roughly 1,000 homeowners in floodplains including along Brays Bayou Meyerland, that the damage to their homes appears to be so severe that they would need to rebuild rather than repair their homes. For some homeowners, rebuilding means that they would have to elevate the house to meet modern floodplain regulations. City officials will determine which houses must be raised, a decision based on the home's value before the flood and the cost to restore it to that condition. Houses that fall into the "substantial damage" category set by city code, where the cost to restore exceeds half of the house's value must be elevated. Homeowners who fall into this category need to raise their first floor one foot above "base flood elevation". People in this floodplain are required to buy flood insurance, but this insurance only covers flood damage not the cost of rebuilding which equals to about $250,000. Homeowner's insurance does not cover flood damage. This will leave many residents with many out-of-pocket costs especially if they need to elevate their homes, especially in Meyerland where the median value of flooded properties is $550,000. This is leaving many families upset that the insurance they must carry will not fulfill their needs. Moving is another option of course, but the homeowners will have to think of so much more than just elevating their houses. They have to prepare their home to be sold, sell it, which will be extremely difficult since the house is damaged and then find a new home free from any flooding areas. Flooded houses and areas are now required to under-go flood inspections which will then put a burden on close dates. Homeowners are left spending the same if not more for moving than they would rebuilding their houses. WASHINGTON (May 10, 2016) — on this date, speakers at the 2016 REALTORS® Legislative Meetings & Trade Expo discussed regulatory issues on home ownership and discovered that the reason less and less young adults are buying homes is because their student debt is so high. The high-profile session discussing the impact student loan debt is having on young households' ability to purchase homes was lead by U.S. Housing and Urban Development Secretary Julián Castro. During his speech, Secretary Castro announced some changes coming soon to ensure housing opportunities for young men and women – many of whom are currently repaying the loans they borrowed to earn a college degree. Secretary Castro began his address by saying the prescription to the American Dream has always been working hard, saving your money and investing in yourself, often by getting a great education. What has changed in recent times is that the third step – getting a great education – is more expensive than ever. According to Castro, HUD is committed to working with its partners across the administration and in the housing community to explore additional changes that can help more Americans purchase a home. That's why last November, Federal Housing Administration Principal Deputy Assistant Secretary Ed Golding announced changes to condo rules that would address a lengthy and complex recertification process, owner-occupancy requirements, and limits on the types of property insurance that FHA considers acceptable coverage. Secretary Castro announced that the proposed condo rule has left the HUD building and is at the Office of Management and Budget for review. "Today's exciting news about the big changes coming to condos are a long-fought win for Realtors®, and we're eager to see it come to fruition," said NAR President Tom Salomone, broker-owner of Real Estate II Inc. in Coral Springs, Florida. "Realtors® know that condos are an important option for buyers, especially for first-time buyers looking for affordable options in the marketplace." Secretary Castro concluded, "Realtors® help make the dream of homeownership for so many Americans a reality, and HUD is committed to partnering with them to ensure that the hard-won progress we're seeing in our housing market continues to grow for many years to come. The panel participants agreed that in addition to affordability concerns, inventory shortages and lifestyle factors such as marrying later in life and having to repay student loan debt are burdening a segment of creditworthy buyers by making it more difficult to save for a down payment. Discussing some of the ways the Education Department is working to address student loan debt, Chopra said income-based repayment options and holding student loan servicers more accountable during the repayment process will go a long way to ensuring that relief exists for those burdened by their debt. "We need to make sure the pillars of the American Dream of graduating from college and owning a home go together – and not compete with each other," he said. Sharing research from the New York Fed, Brown explained just how much student debt has defied the current business cycle of the past 10 years. Non-mortgage debt balances, such as debt from auto loans and credit cards, experienced a period of decline during the immediate aftermath of the Great Recession and have how either flatlined or rebounded slowly in recent years. The exception during this time has been student debt balances, which have ballooned from over $300 billion at the end of 2004 to over $1.2 trillion debt today. Brown concluded that carrying high balances of student debt is likely leading to a growing share of young student borrowers retreating from the housing market and ultimately having to co-reside with their parents. "With home prices and rents on the rise, saving for the down payment is a challenge for many would-be buyers," said Lautz. "Unfortunately, among other factors, repaying student debt is delaying a typical individuals' path to homeownership by roughly five years." The final speaker, Guzman, said that in addition to Congress passing legislation that helps ease borrowers' debt burden, Realtors® can play a big role by working with their young clients at the beginning stages of their housing needs, particularly during the leasing process when renting their first place. "Realtors® can be a resourceful advocate for their young clients repaying student debt by educating them about their housing options and pointing them to credible resources, such as the Consumer Financial Protection Bureau's information on student debt," added Guzman. "The urge to be a homeowner is not lost among young adults, and we can all can work together early in the process to make sure they're able to buy when they're ready." 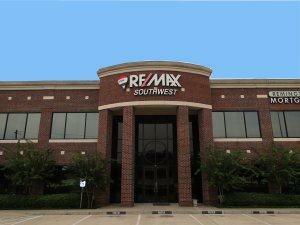 Affordability improved in the Houston metro area during the fourth quarter. Although home prices and mortgage rates trended lower during the last three months of 2015, local Realtors expect home prices to remain steady in 2016, keeping affordability conditions stable. If you were to make a 10 percent down payment on a median-priced home in the Houston metro area, the required salary would be $59,424. How to obtain tax deductions if you moved in 2015! Use the long Form 1040 to claim moving costs. Use Form 3903 to figure the costs. You do not have to meet a percentage-of-income threshold for moving deductions. Ensure you meet the distance test. Your new job commute must be at least 50 miles farther from your home than your previous job distance. For example, if you traveled 10 miles to work before you moved, you would have to travel 60 miles to your new work location to ensure you meet the distance test. The IRS’s distance test only considers the location of your old home and how far it is from your previous job, not your new residence. Check the time requirements. Moving expenses are deductible if they were incurred within one year of starting a new job. You also have to work full time at a new job for at least 39 weeks during the first 12 months to meet the IRS requirements . As for self-employed workers, they must meet the year-to-move deadline and work full time at their entrepreneurial enterprise for 78 weeks during the first 24 months. Collect all of those moving receipts. To claim the deductions, make sure you have legible receipts; such as moving costs, storage, and utility connections. Congratulations on your move! I hope all is well. If you did not use Remax to find your Current home, you can refer us to a friend and keep us in mind for your next move!